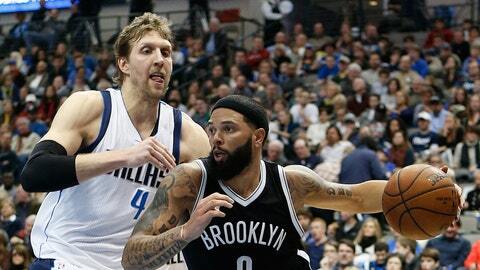 Will Deron Williams be ready for the season opener? The Dallas Mavericks once again have a new point guard in town, but it might be a while before he actually gets on the court. “As the weeks passed and Deron Williams continued to miss practices and exhibition games, concerns mounted about whether the Mavericks' point guard would be ready for opening night Oct. 28. Those fears worsened Sunday when coach Rick Carlisle ruled Williams out for the rest of the preseason because of a strained right calf. He said the 10-year veteran is not likely to have any contact work for another week, which means his availability for the regular season is in serious doubt. It still remains unclear whether Williams will be ready for opening night. Devin Harris or J.J. Barea would likely get the start in his place if Williams is unable to play. The Mavericks may also be without Chandler Parsons and Wesley Matthews, who are both questionable to start the season as well.